Note: if you are a beginner reloader, you should consider starting with simple tools, and adding automation after you master them. By starting with basics you will understand the process deeper, and will get a feel of what limitations or quirks to expect from different reloading techniques. 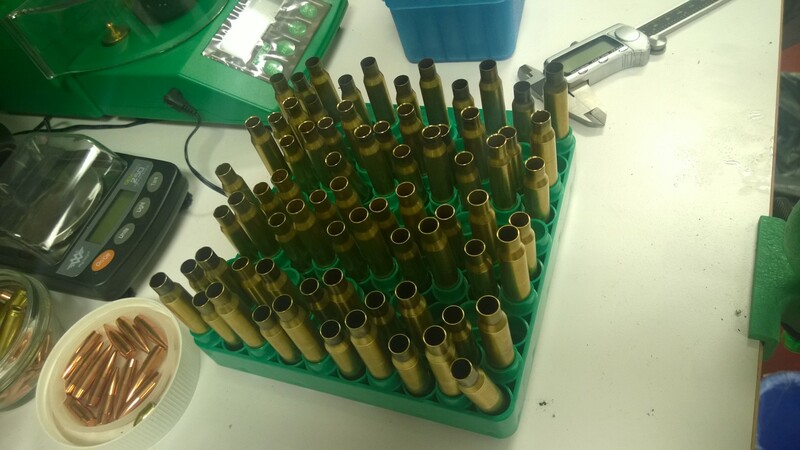 Case prep is a bane of a centerfire rifle reloader. It can take up to 3 minutes to recondition a case (size, trim, primer) - a whopping HOUR per 20 round box. Add the powder metering, bullet seating - and we are at 5 minutes per case - close to 2 hours per box of ammunition. And yet that's what we have to do if we want to push our rifles beyond the boundaries reachable with factory loads. Needless to say, whatever technology can help save time is worth it regardless of its price. If you are reloading 100 rounds a month, and can cut 1 minute per cartridge, that's 20 hours a year. No matter how much you value your time, anything will pay for itself very quickly. 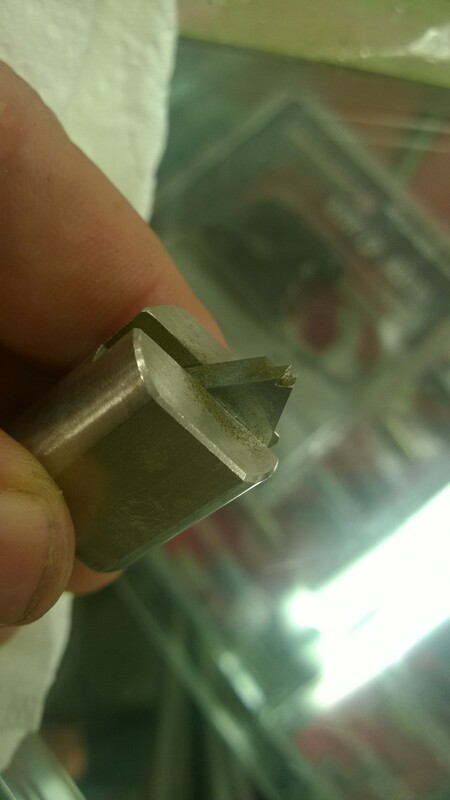 This is why I bought Giraud case trimmer almost as soon as I learned about it, and Frankford Arsenal case prep center as soon as I could find one. Giraud is widely considered a creme de la creme device. It appears to be built in Texas using pre-industrial process. There is a considerable wait time to acquire one (I was quoted 2 months when I called), and it is only sold direct (with one exception, but the price and availability is the same). 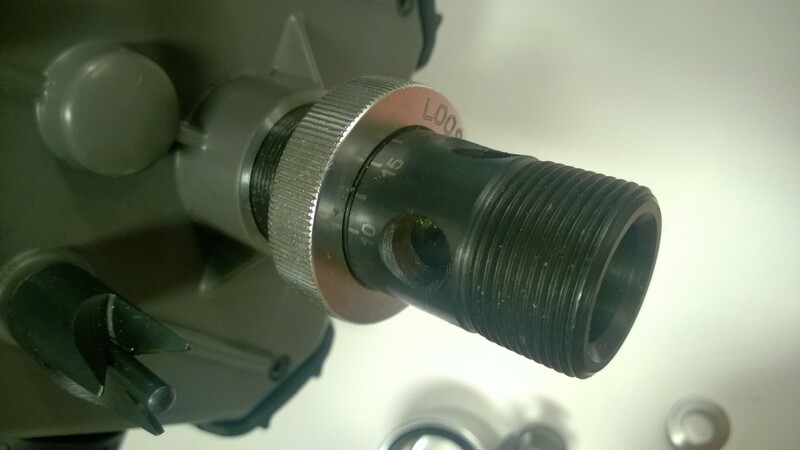 The unit employs a specially profiled cutter which rotates at the neck edge of the cartridge and at the same time cuts and chamfers it. 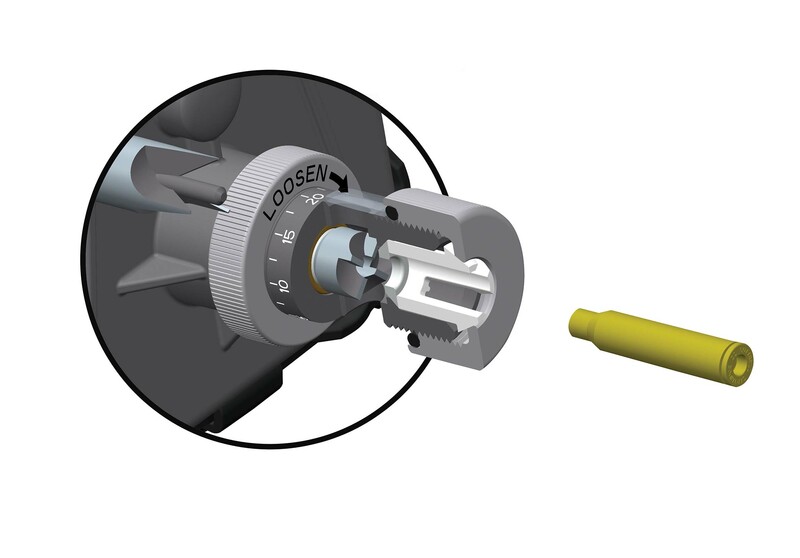 To get into exact position, the cutter needs to be aligned with the edge of the cartridge - but the alignment is the same for 30 caliber cartridges (308, 300, 303, 7.62x39, 7.62x54r) and 22 cartridges (22Rem, 22-250), I just bought 2 cutters. 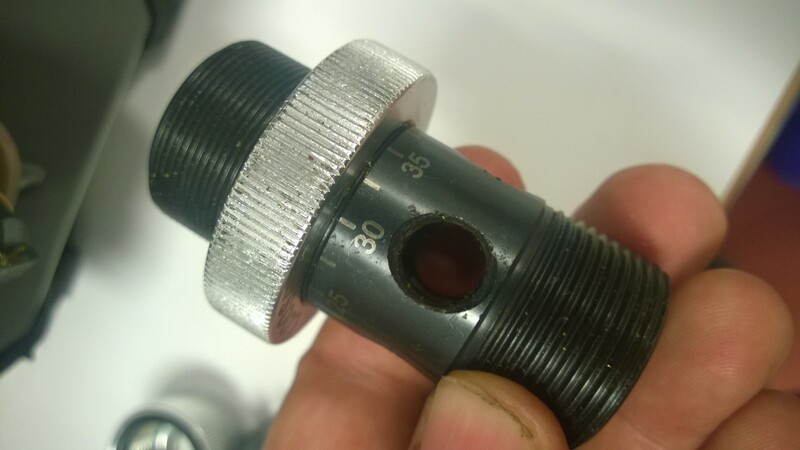 Each caliber, however, requires its own conversion, which screws into the top of the unit and consists of the threaded body and spring-loaded housing for the cartridge. 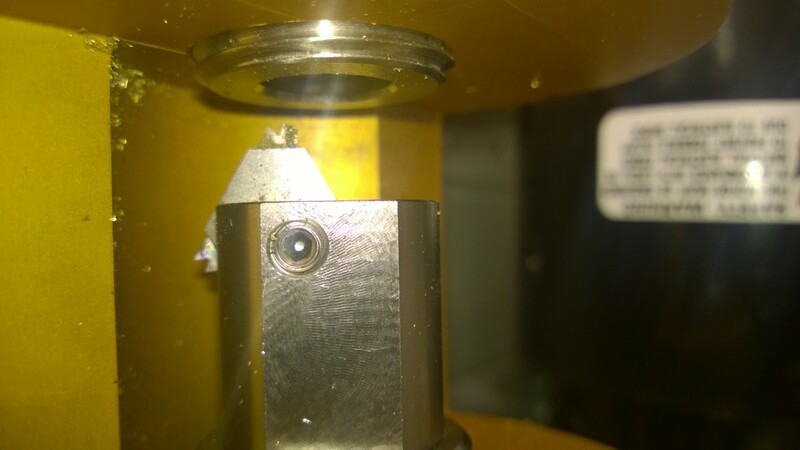 To operate, the conversion is screwed into the unit with a cartridge pre-cut to the right length in it such that when it is pushed into the conversion die it just barely touches the blade. 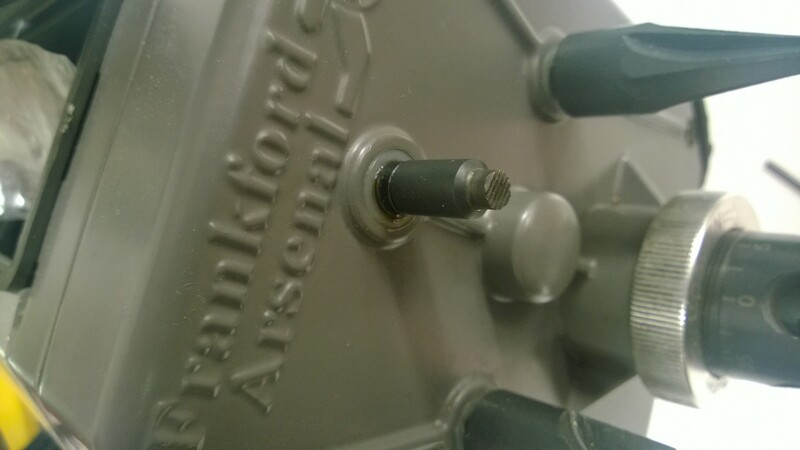 When the blade spins, it cuts right at the edge of the case as it is pushed inside, and stops cutting when the spring is fully compressed, and the cartridge is completely in. Thus, the system indexes at the shoulder of the cartridge, not at its base as do most manual cutters. 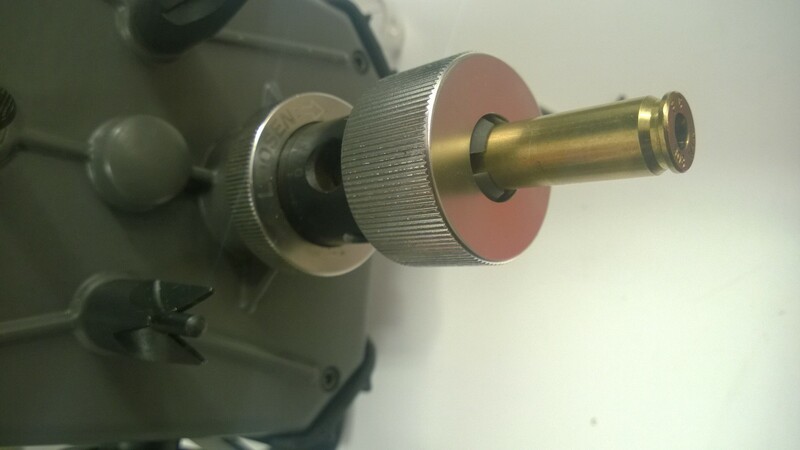 Obviously, the cutter only works on sized cartridges - but this is true for all cutters, powered and manual alike. 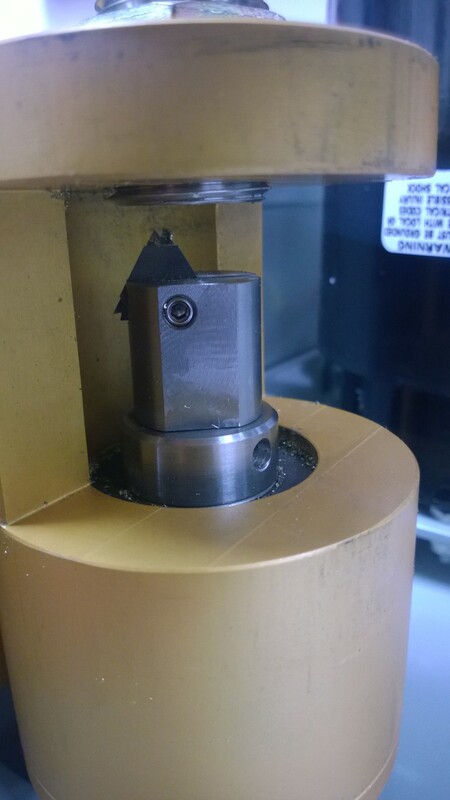 As of this writing (6/2015) the trimmer costs $460 (this includes one conversion), additional caliber conversions are $35 each, and extra cutter heads are $45. If you are using it for 308 and 223, the ideal package will thus cost you $540 (one extra conversion and one extra blade for easy switchover), though you can save on the blade if you don't mind fumbling with adjusting it to case neck diameter every time you switch calibers. I bought mine used - not because I wanted to save money, but because it was available immediately, and I did not have to wait for 2 months. I lucked out though - the used market for Girauds does not exist, probably because owners love them. I then went ahead and ordered a bunch of caliber kits and an extra blade directly from Giraud. Overall I saved about $100 for the machine, and spent another bunch of money on conversions - so the total cost for me was around $700-$800. I do not have personal experience with the longevity of the motor or the blade - but the Internet is full of reports of thousands and thousands of problem-free rounds. The trimmer cuts at a very high speed, and it cuts quite well. 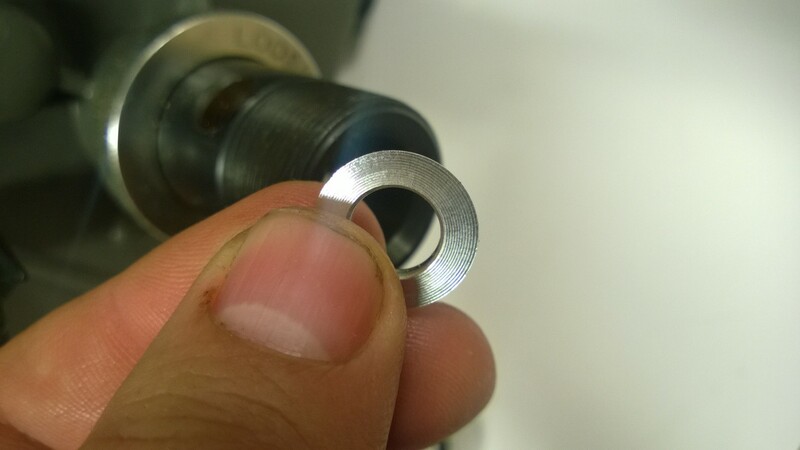 You simply push the sized cartridge into the opening, rotate it slightly until you know from vibration that the cutting stopped, and voila - the cartridge is done, chamfered and ready to go. There is minimal amount of metal chips left inside the neck, so it needs to be swabbed with Q-tips. In my experience the whole process of cutting the cartridge takes about 30 seconds, including swabbing out inside of the neck. The consistency of the trim is extreme. Here are the lengths of 20 308 cartridges cut by my Giraud. As you can see, the standard deviation is under one thousands (0.00076), which means that 95% of the cartridges will be within 1.5 thousands (!) of the mean. 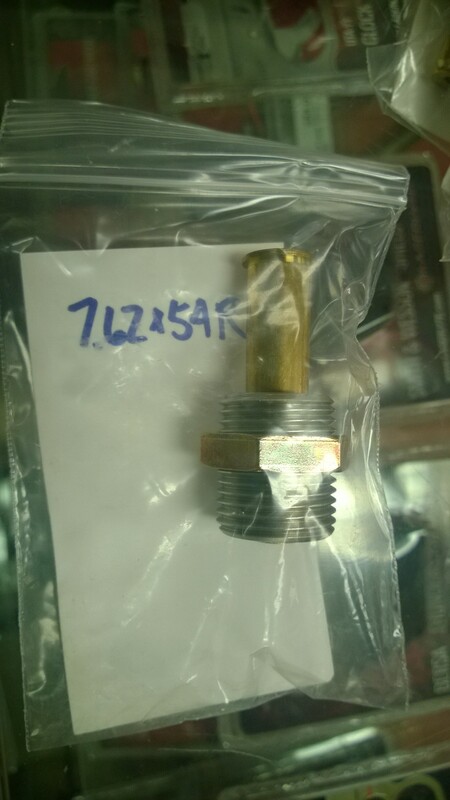 Needless to say, this precision greatly exceeds anything that is really required for making extremely accurate rounds. 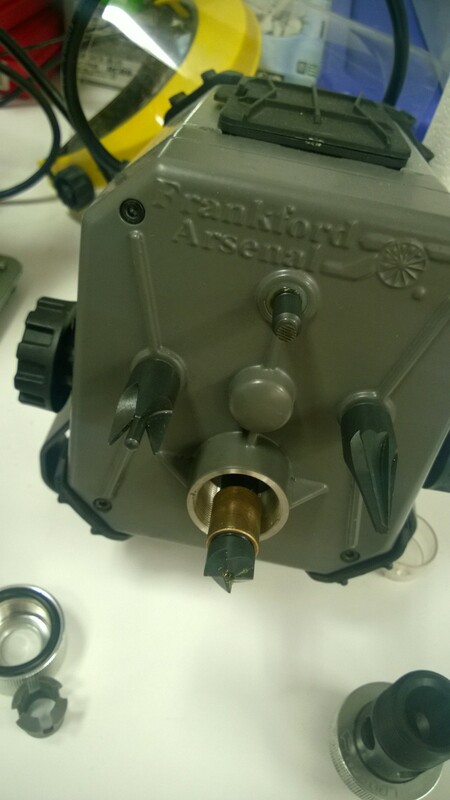 Frankford Arsenal has been producing a lot of innovation in the reloading space recently. I love all of their products that I ever used. 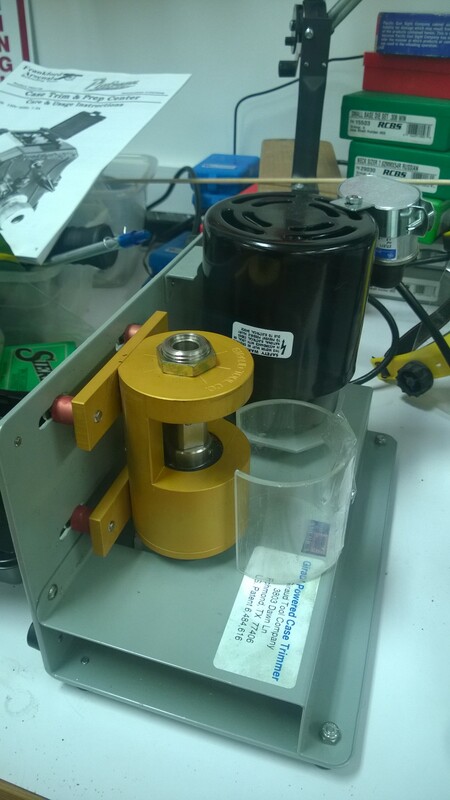 Their Vibra Prime system is an absolutely essential tool for progressive reloading - it's silly to even own a progressive press without it, their stainless media tumbler costs about half as much as comparable systems, and I like their cheap electronic scale for quick cross-checking and coarse weighing - though I would never use it as a primary scale for powder. One such recent innovation is the case prep center that they have just started shipping. Though I already had the Giraud trimmer, I am always on a lookout for something with the ideal price/performance, so I bought one to test. I was not disappointed! Unlike the Giraud trimmer, the cutting head of FA's prep center cuts on low RPM, and the cutter's blade is broad - it can cut cartridges of any diameter. The chamfering steps - inside and outside - are separate. 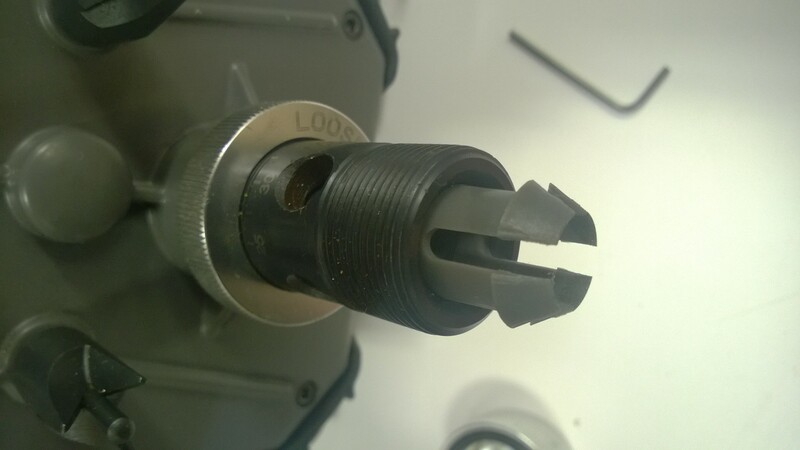 The cutter lives inside the protective housing which can be screwed in or out to adjust to the desired length of the cartridge. Here is the schematic showing the system all together. 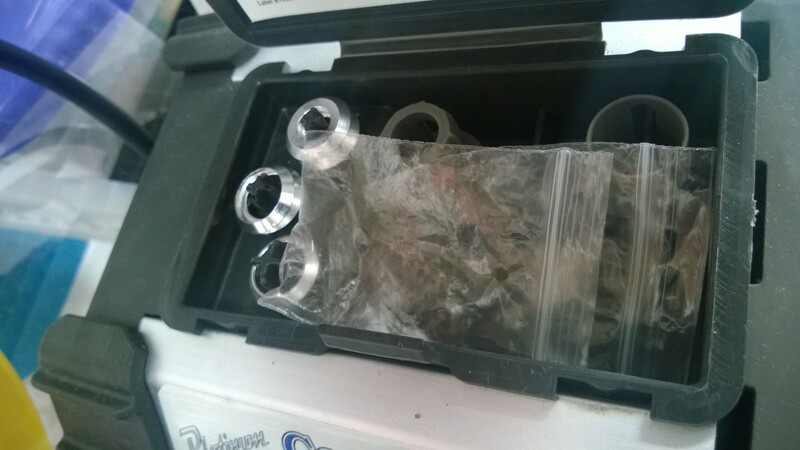 The six adapter rings that fit most calibers (I doubt it will work on 17 or 50BMG - but I never cared to find out) are included with the trimmer, as are 3 case body sleeves. ...followed by the plastic sleeve that helps center - and hold snug - the body of the cartridge. Then, the whole system is secured by an outer ring such that it is snug, but allows the cartridge to fully slide in and out. In addition to the cutter-chamfer mechanisms, the prep center also includes the primer pocket cleaner, which works surprisingly well - especially on more expensive brass where primer pockets are cut more squarely. 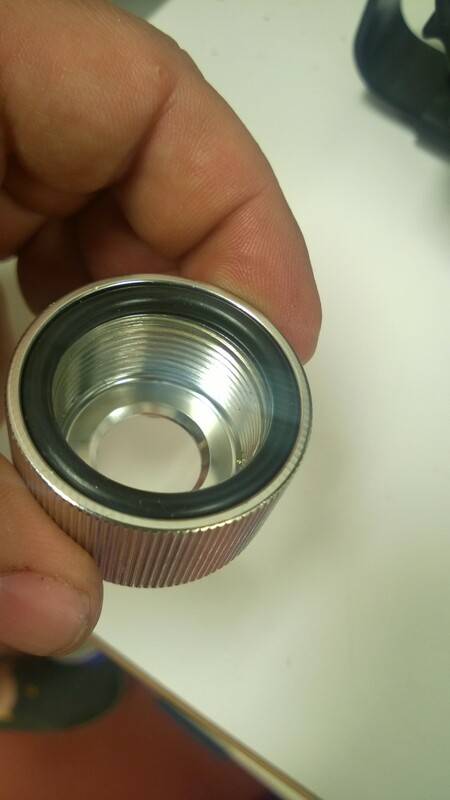 On them, it functions almost as well as stainless steel media tumbling. The only problem - the primer pocket cleaner tool is right above the cutter, so when it is used the evil lead contaminated dust from the primer pocket drops right on top of the trimming assembly. Cleaning it out afterwards is no fun! Overall, the operation is pretty nice. The cutting speed is low, and the cutting is strictly perpendicular to the case neck - since the system is not trying to cut and chamfer at the same time - so the effort is minimal. So cutting itself actually is easier than with Giraud. At the same time rotating the cartridge inside the plastic sleeve to obtain the uniform cut is harder than inside metal-only Giraud adapter, so I got what started resembling blisters after about two hundred rounds. But overall the experience is roughly equivalent to Giraud, and the process takes about the same amount of time - 30 seconds per cartridge. However, the amount of debris left inside the cartridge neck is dramatically more - which leads to increased expenditure of Q-tips compared to Giraud. Standard deviation is 0.0013, which means that 95% of the cases will be within 0.0026 of the mean. While not as good as Giraud, still, way more precision than is needed - I cannot imagine a universe in which this level of dispersion would have any effect on the accuracy. The results here are exactly as good as Giraud's. Overall - I am not sure what to say. 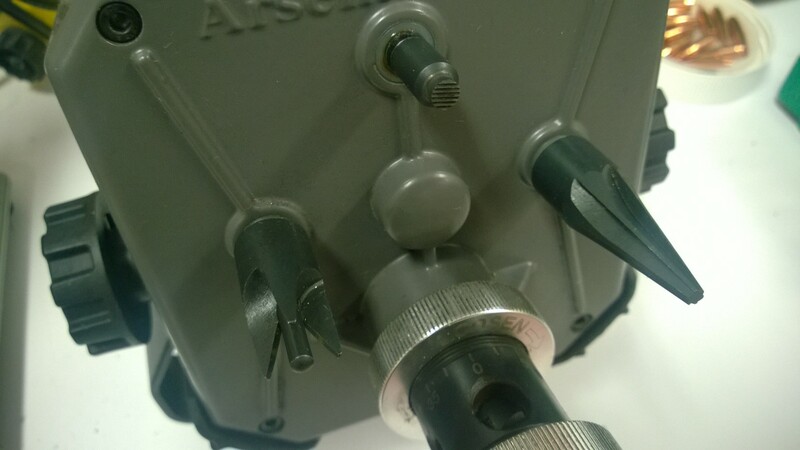 Both trimmers are very easy to use, both provide equivalent results. The Giraud trimmer is somewhat more polished and marginally - very marginally - easier to operate. FA trimmer is more available, and about 3 times cheaper (4-5 times if you buy equivalent number of conversions that come out of the box with the FA machine). I would not be surprised if Giraud trimmer will last longer, and will have a better servicing story - but you can throw away 3 FAs before the price is comparable. Resume: no clear winner, but one thing is clear - after using either of them, I cannot imagine going back to the manual trimmer. Never again!